BrandSoup: A pinch of salt . . .
BrandSoup was flicking through the internet recently, wondering what to cover in our next blog – whether to write about Turkish celebrity chef Nusret Gökçe, who is seeking to register his trade mark gestures? Or the controversy over video game Fortnite ‘stealing’ other people’s dance moves? Imagine our joy when we found out we could do both! Sometimes we are so up to the minute we get embarrassed being seen out with ourselves. 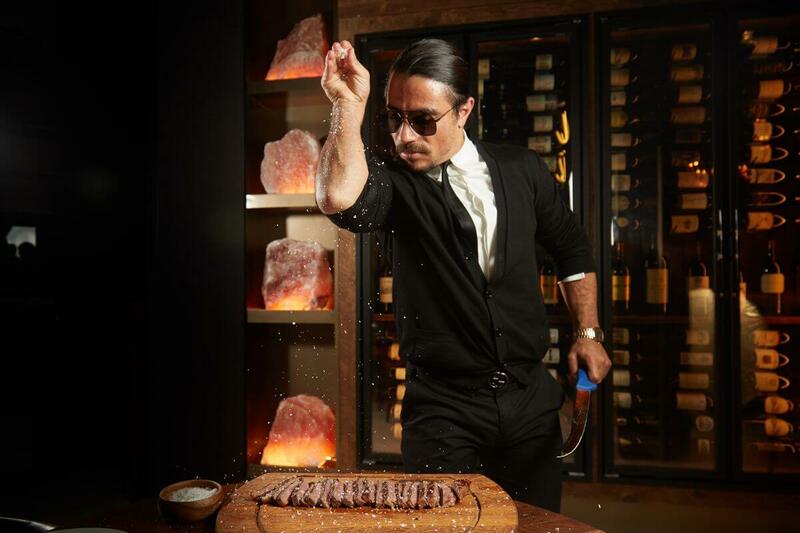 Mr Gökçe, aka ‘Salt Bae’, pictured, runs an iinternational chain of steak restaurants serving a long list of the famous and infamous, from Leo DiCaprio and David Beckham to Nicolás Maduro and Diego Maradona. His USP is to slice and season your steak ‘suavely’ – it’s certainly interesting to watch him work, but whether he's doing anything that hasn’t been done before at a million barbies, braais, cookouts and scout camps is another question. BrandSoup is, however, prepared to grant that his salt-sprinkling action demonstrates a certain panache (go on, Google it and then try it at your next dinner party). And it’s this action that he’s trying to trade mark. So he clearly views it as his move, which brings us on to Fortnite. Video games aren’t covered by Salt Bae's trade mark application but BrandSoup would love to know what he thinks about his sprinkle action being included as an emote i.e. a victory dance which winning players can perform. It’s one of about 50 or so available options, including the Floss, the Electro Shuffle and Best Mates, all of which were created by other individuals before being adopted by Fortnite. Several of these individuals have complained that Fortnite has not sought their permission or paid them any royalties for using their moves. But did Fortnite even need to? A whole dance can certainly be protected as an original work of art, but an individual dance move? That’s like the difference between a novel and a word. At some point on this scale, the law will view a work of creation as too insignificant to merit protection, leaving it open for anyone to use. So if copyright can’t help Salt Bae and his fellow move-busters, how about trade mark registration? Most registered marks consist of names or logos, but it’s possible to register pretty much anything that can actually distinguish your goods or services from other people’s. Such ‘non-traditional’ marks can include shapes, colours, sounds, possibly smells, and certainly gestures or motions. But they have to be distinctive and they have to be used in commerce – i.e. a consumer must be able to tell from the mark that they are buying from someone particular and not just any old supplier. Does seeing salt being sprinkled in a certain way give you enough information to deduce who’s serving you? The EUIPO Board of Appeal thinks not and rejected the application. BrandSoup is a hearty concoction of crunchy facts, delicious ideas and fresh opinions served up monthly for the delight of the readers of Bath Business News and its sister site Creative Business News by Thrings intellectual property partner Graeme Fearon. He’ll be stirring the bowl of current affairs, and looking for tidbits of brand, intellectual property and technology news to savour and share again next month. Spoons to the ready!